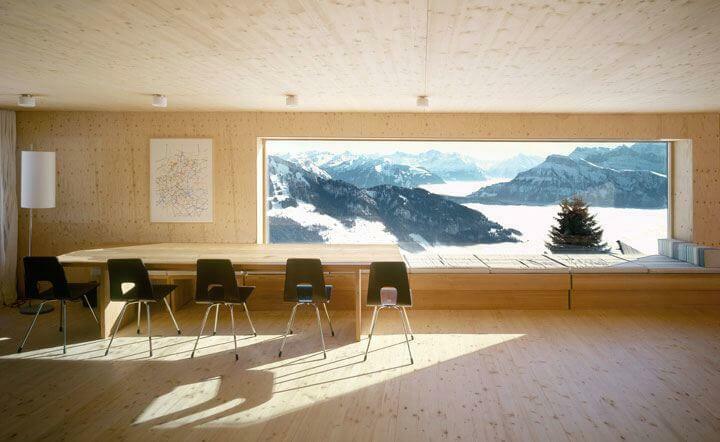 Switzerland is generally regarded to be at the forefront of modern architecture. 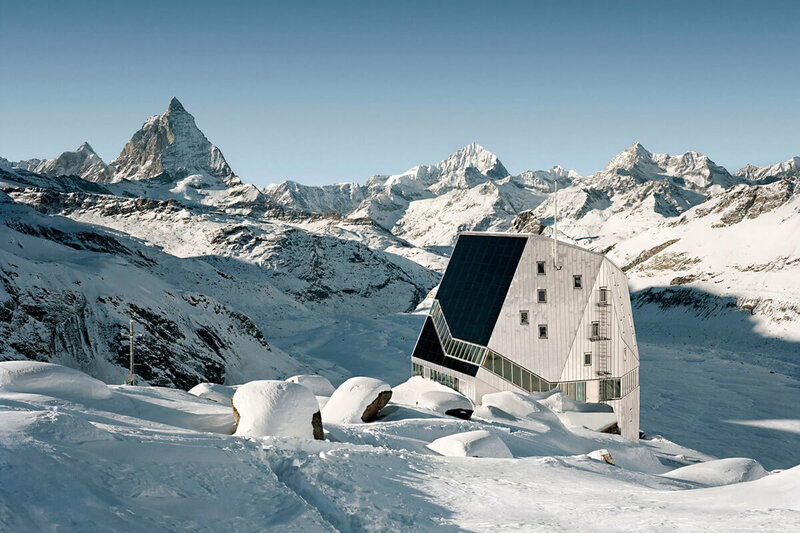 In my opinion, the limited space and genuine respect for natural resources has transformed Swiss architecture into an art. As you will see reflected in these examples, buildings have to blend in with their surroundings or need to fulfill a particular purpose. I have never studied architecture, but these elements have become pretty evident to me. 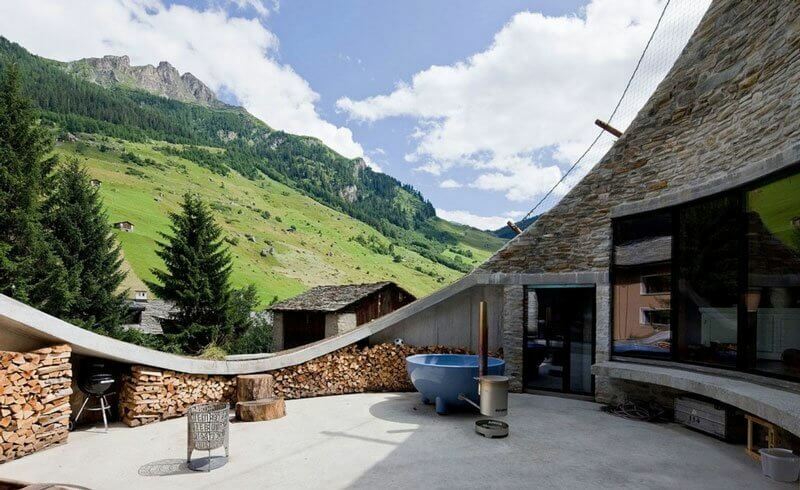 Here is a house in the town of Vals which could easily be missed! 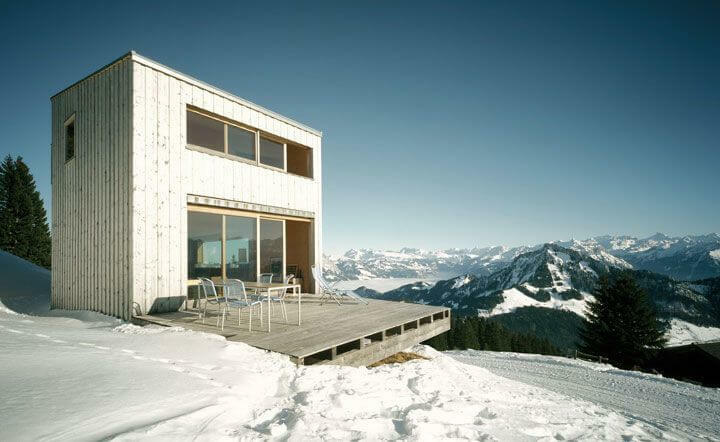 The wide elliptical opening that accentuates the view could be mistaken for the entrance. But in fact, the entrance is located in a separate traditional barn which is connected to the living quarters with a tunnel. 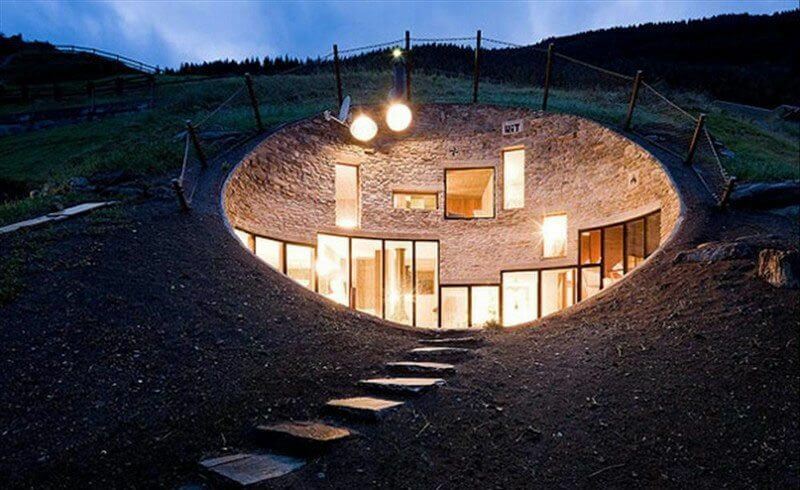 The Swiss building code is very strict, so it is surprising that the team of Swiss and Dutch architects was able to convince the local board to basically dig a huge hole in the mountainside and build this very unique home! 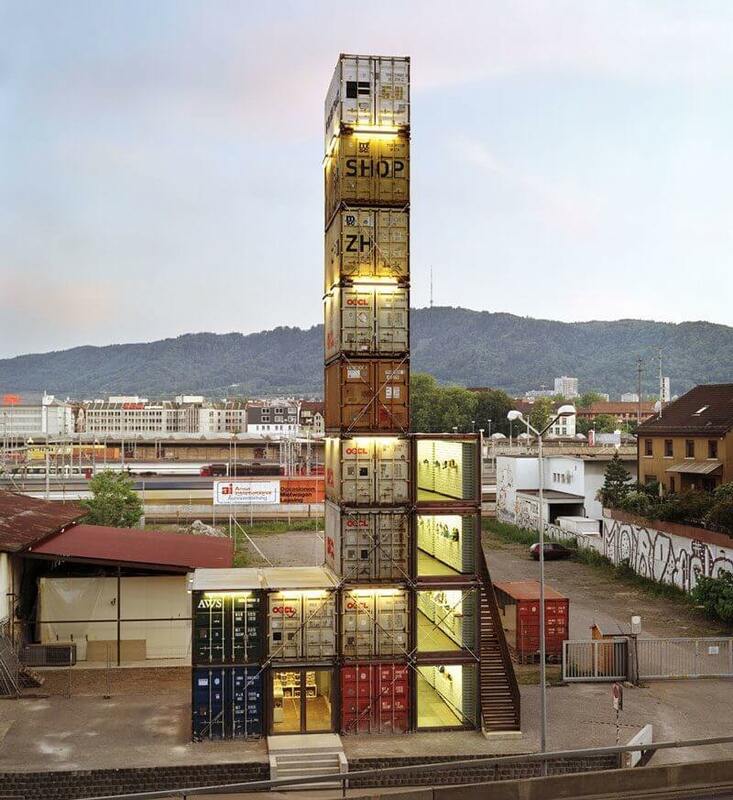 Featured in the New York Times and very much prominent along a busy Zürich street, this stack of containers reaching some 26 meters in height is the Freitag retail outlet. The architectural design using recycled shipping containers is ingenious as Freitag sells all kinds of fashion accessories made from recycled materials. The Freitag messenger bag, for instance, sits next to the Sony Walkman in the MoMA and is assembled from old truck tarps. Climbing to the top of the tower is free and provides unobstructed views of the nearby train tracks and Üetliberg, Zürich's own hilltop. 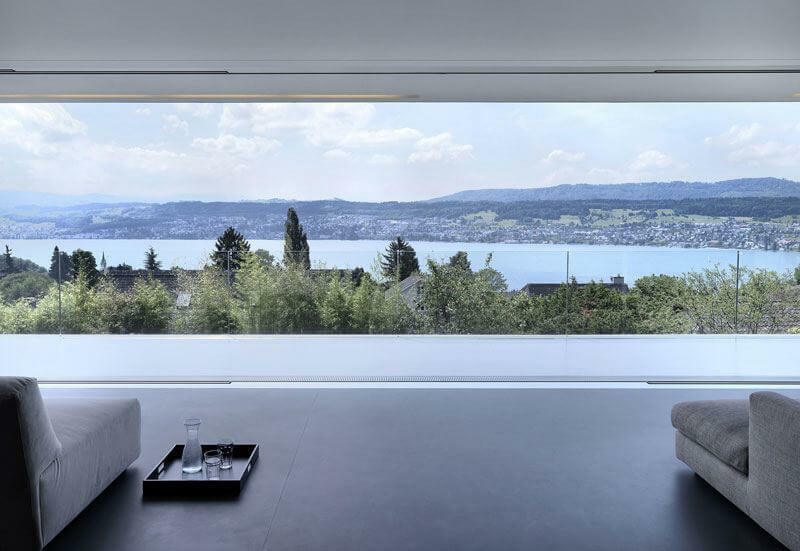 Overlooking Lake Zurich, this ultimate designer home is located surprisingly close to where we live. 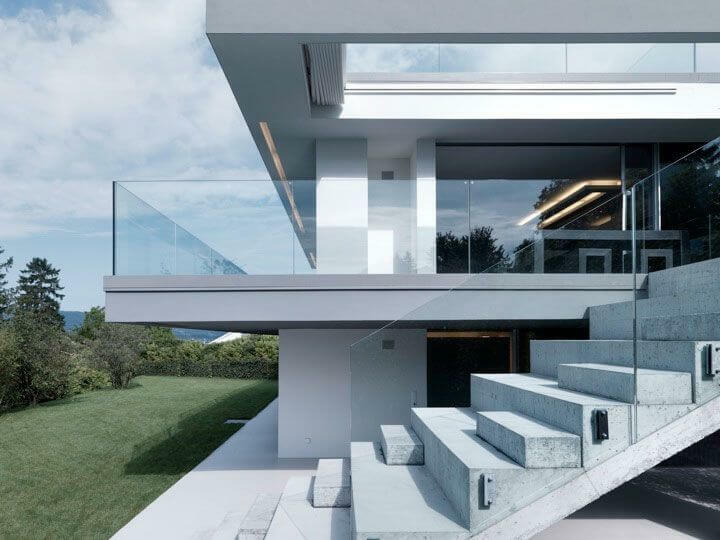 According to the architects' description, the house was designed with social interactions in mind. Wow, who actually gets to live like that? 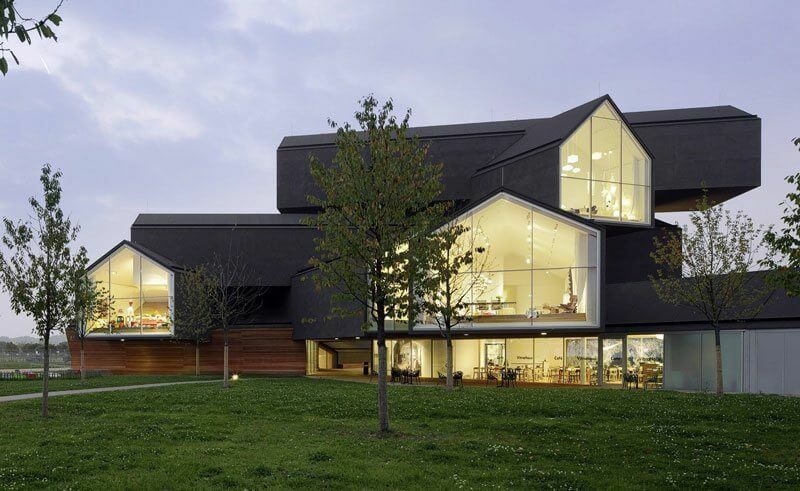 This showroom for designer furniture was conceptualized by Swiss architects, but is actually located across the Rhine river in Germany. As far as I can tell, these shapes resemble original European houses stacked up in a seemingly random order. 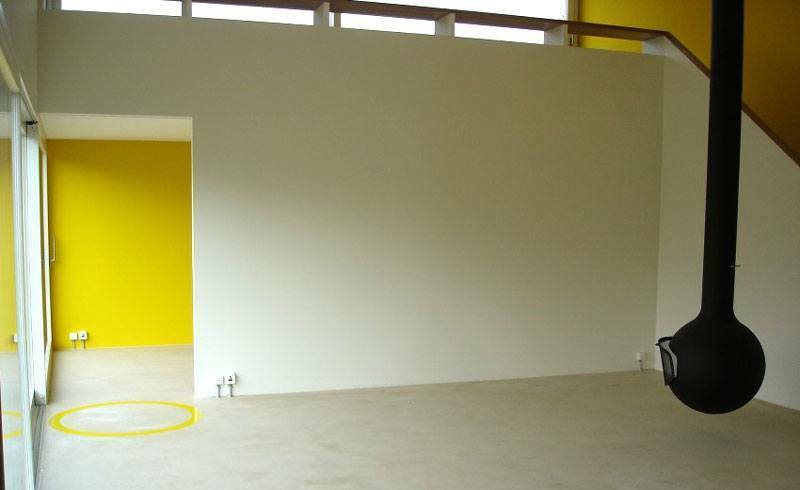 Lastly, here is an example for using pre-fabricated straw board panels to create sustainable housing. 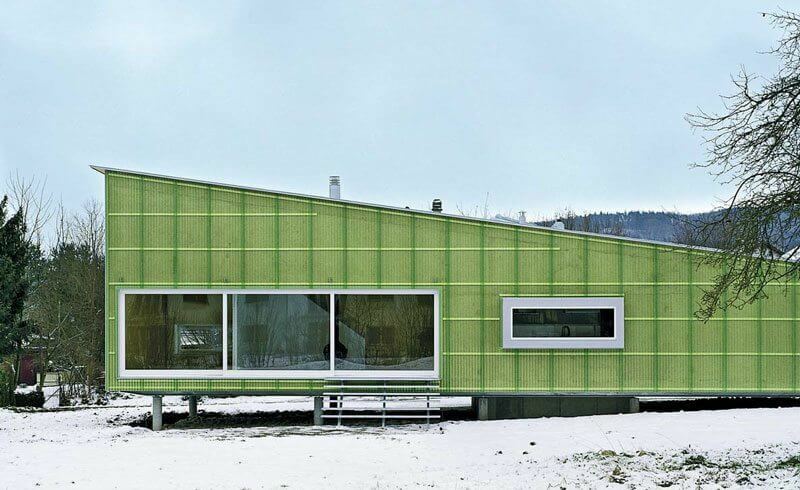 This building in Eschenz is really quite innovative, as straw is abundant in Switzerland and thus inexpensive while providing superb insulation against heat and sound! As the founder, editor and community manager of Newly Swissed, Dimitri owns the strategic vision. He is passionate about storytelling and is a member of the Swiss Travelwriters Club. Dimitri loves discovering new trends and covers architecture, design, start-ups and tourism. This Swiss Stamp is a Vinyl Record, too! Does Switzerland Have an Image Problem?